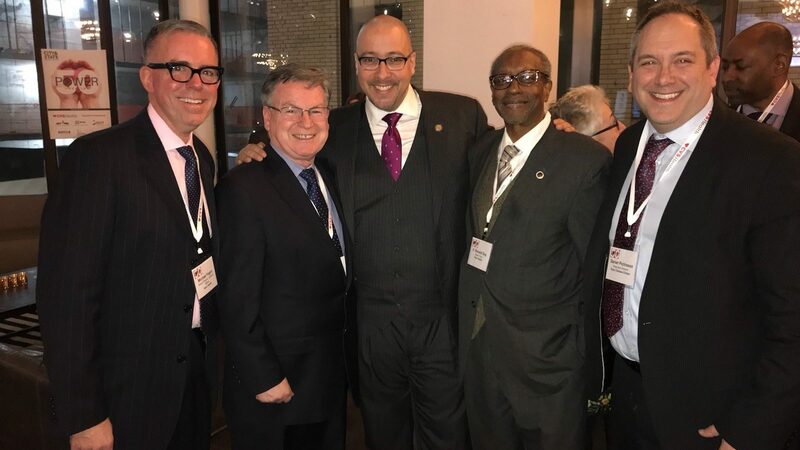 Pictured above (left to right): Michael Fagan, Senior Director of External Affairs, Ryan Health, Brian McIndoe, President and CEO, Ryan Health, New York State Senator Gustavo Rivera, E. Ronald Guy, Board Chair, Ryan Health, and Daniel Pichinson, Executive Director, Ryan Chelsea-Clinton. 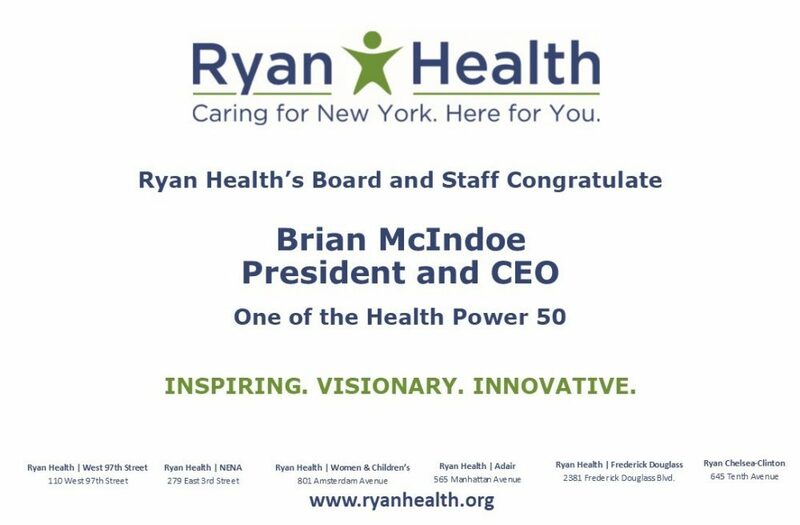 We are happy to share with you that our own Brian McIndoe was included in the Health Power 50 list of the publication City & State. City & State is a print and online publication covering policy and political news across New York City and State. Throughout the year, they publish various lists of leaders within certain fields. This is the first Health Power 50 list published by City & State, which recognizes the 50 most influential health care figures in the world of New York politics. The list is led by Ken Raske, President of Greater New York Hospital Association, and includes the heads of 1199SEIU, New York State Nurses Association, and numerous hospitals and health plans. Brian is one of the only leaders recognized on the list for his role heading up a FQHC. We are thrilled that Brian and Ryan Health are included, it is a great recognition of him and the work of our organization.